The name "Afantou" or "Afandou" means "invisible" as the village was built out of the sight of pirates coming from the sea in past times. The village is 800 m far from the Argiro Village and counts today around 5.500 inhabitants. It offers numerous restaurants, bars and shops. It is nowadays a large and modern village, but it has kept a lot of its narrow streets and traditional houses. Local festival days: Saint Lukas on the 18th of October and Saint George in April. The popular pebble and sand beach of Afantou is 4 kilometers long and attracts a lot of tourists as well as locals. 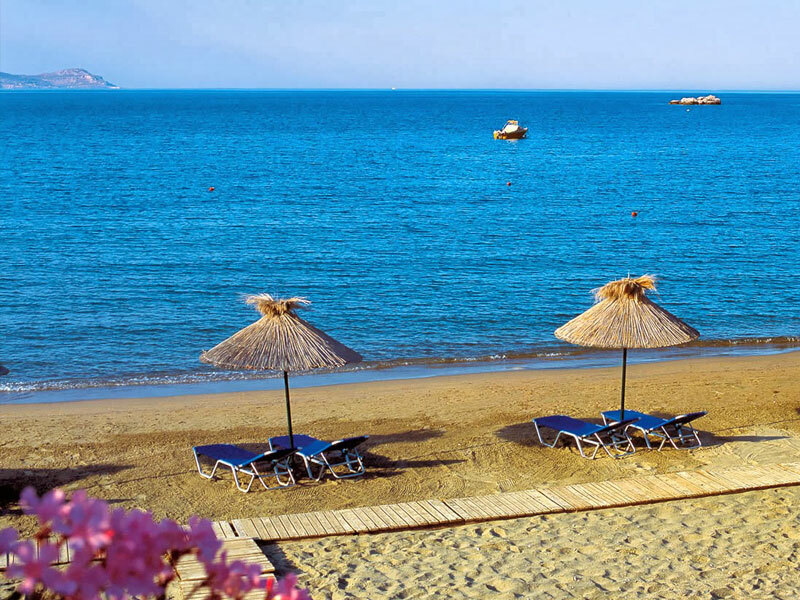 You will find there water sports, umbrellas and sunbeds to rent and, most important of all, clean waters. 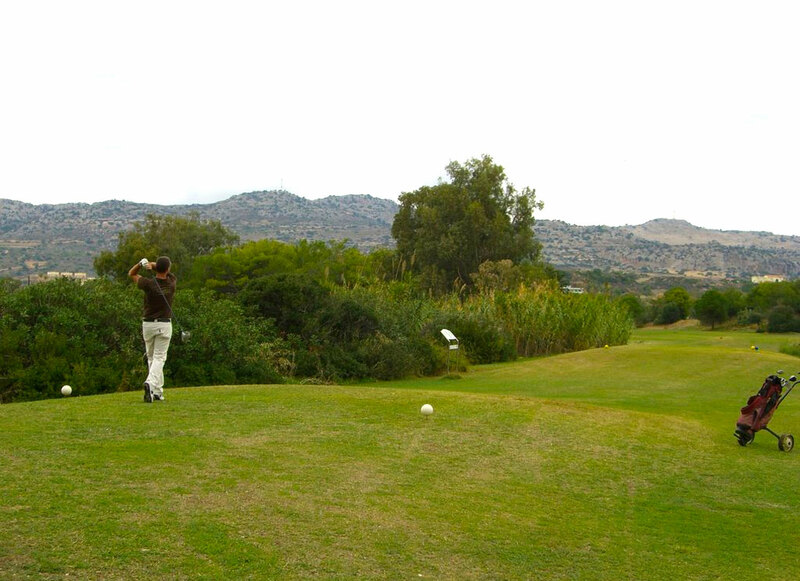 The Afantou Golf Course is situated opposite the Argiro Village, but its entrance is about 400m away from the hotel. It is a modern 18-hole course (73 par) and exists since 1973. It is open all year round. Rental equipment and golf lessons are to be booked there. 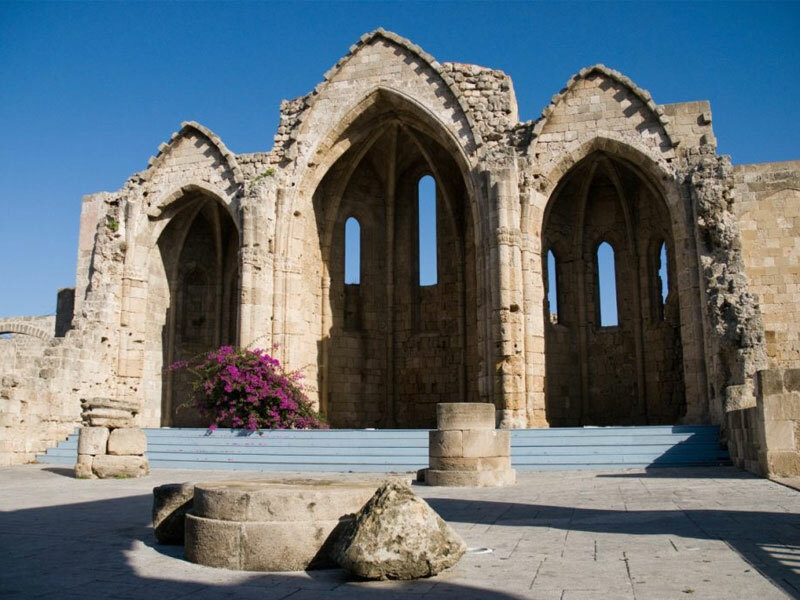 Rhodes Town is situated at the northern point of the island and is more than 2.400 years old. 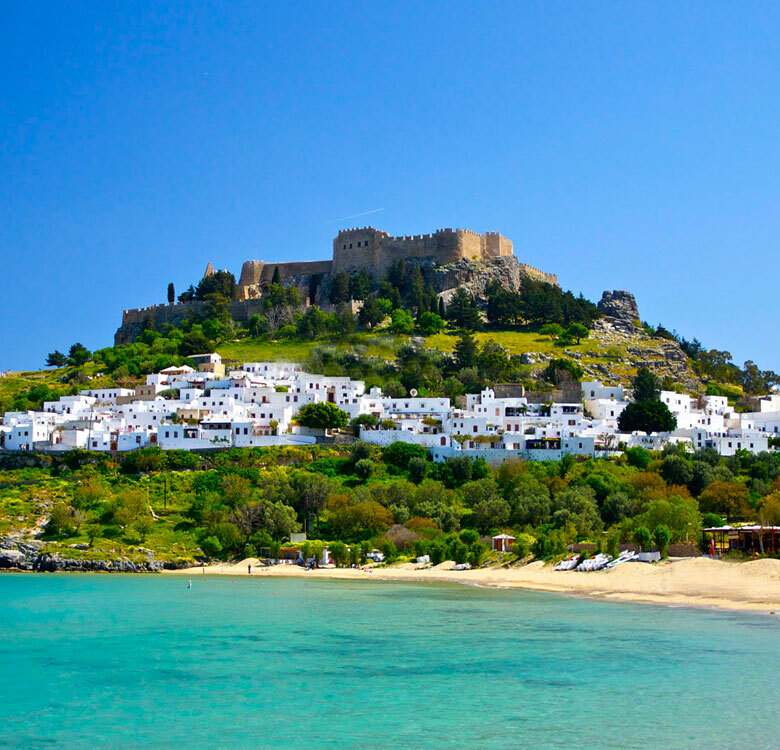 It was built in ancient times by the three first cities of Rhodes, Ialyssos, Lindos and Kamiros. 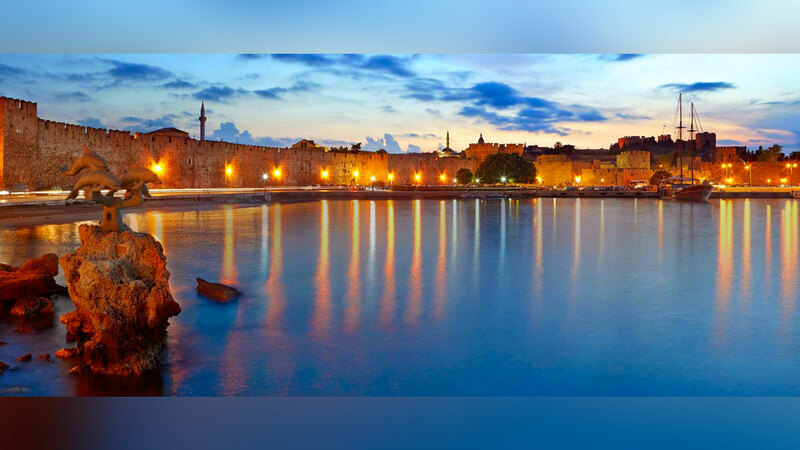 It is especially well-known for its remarkable medieval town which has mostly been built by the Knights of St-John and still possesses beautiful buildings and streets exactly the way they were in the Middle Ages. You will find numerous shops with souvenirs and local products in the Socratous Street. 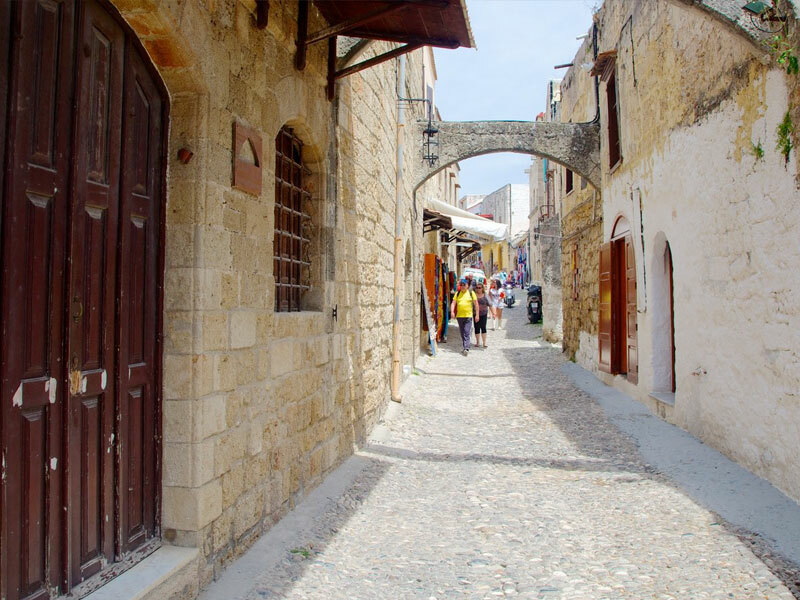 In the New Town, the beautiful Mandraki Harbour invites for a nice walk which will lead you to the Cyprus Square, where the heart of the city is beating. The shops, banks and coffee shops there attract locals and tourists. The ancient Acropolis of Rhodes Town is located on the highest point of the city, the Monte Smith, and offers breathtaking views on the Old Town, the modern town and the Turkish coast opposite. 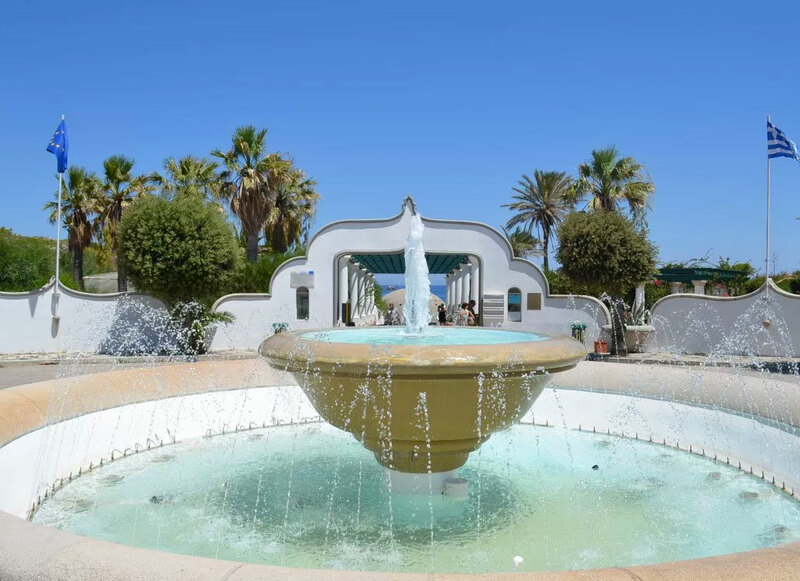 These old thermal baths of Kallithea are located very close to Rhodes Town and have been built by the Italians in the beginning of the 20th century for the Italian aristocracy. They are not functioning anymore today, their springs have dried up, but in the 20ies and 30ies their water was very famous for healing stomach and intestine diseases. They have been beautifully restored recently. 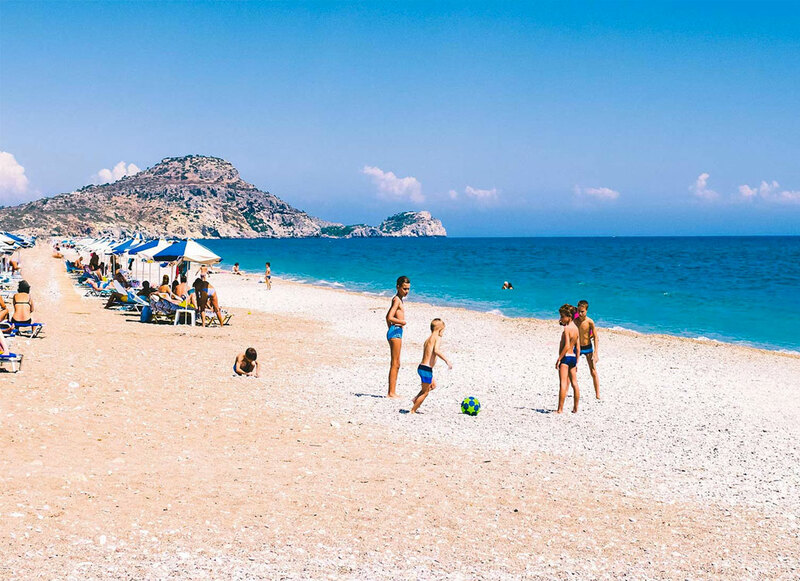 The Italian architectural style, the lovely small beach and the numerous palm trees make this place one of the most impressive ones in Rhodes. The small monastery has been built on a pointed hill. 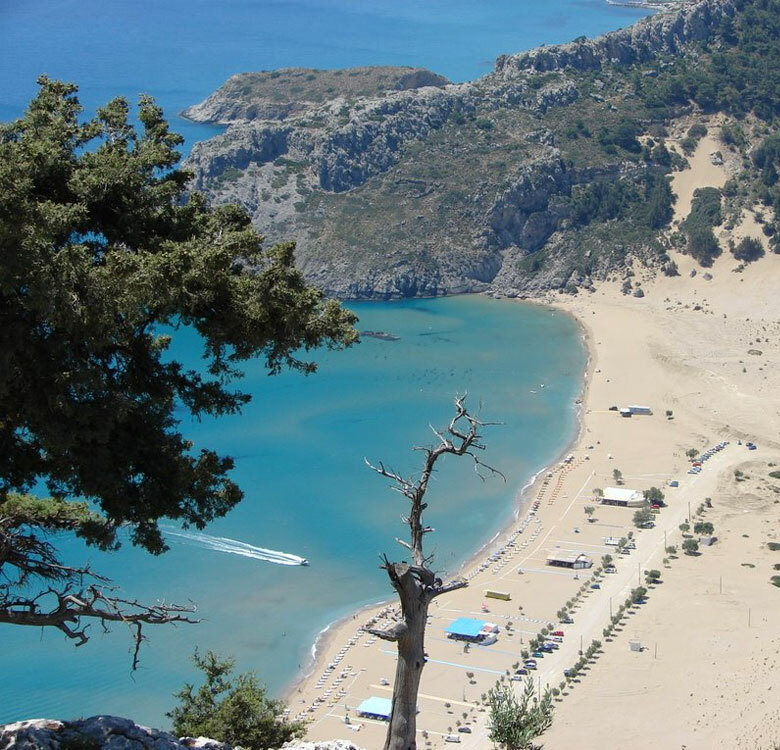 The view from up there over the sandy beach of Tsambika, the bays of Kolymbia and the countryside is absolutely fantastic and worth climbing the numerous steps! The small chapel is dedicated to the Virgin Mary and has the strong reputation to help childless couples to accomplish their dreamsof a pregnancy. 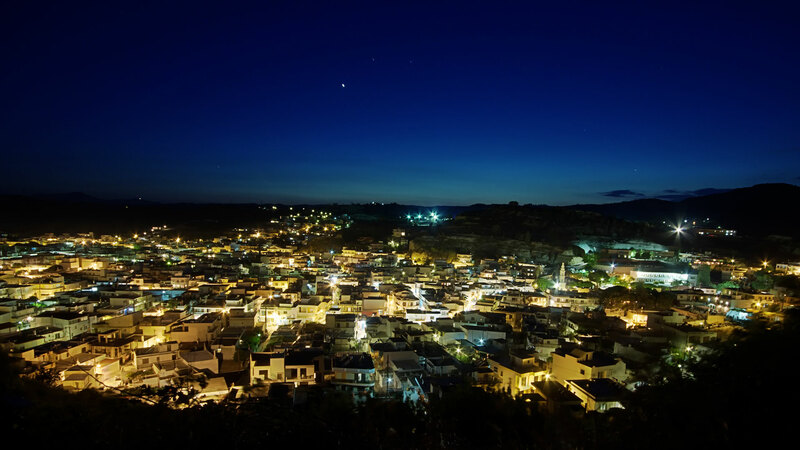 The beautiful village of Lindos is a must for all holiday makers as it is the most picturesque village on the island. The ancient Acropolis was built on a hill which overlooks the village and was surrounded by an impressive wall during the Knights' period. The whole village is allowed to pedestrians only and has been declared protected area. You can either rent a donkey and ride up to the Acropolis or climb by yourself the numerous steps in order to be able to enjoy the stunning view on the village and the small St Paul's bay below. 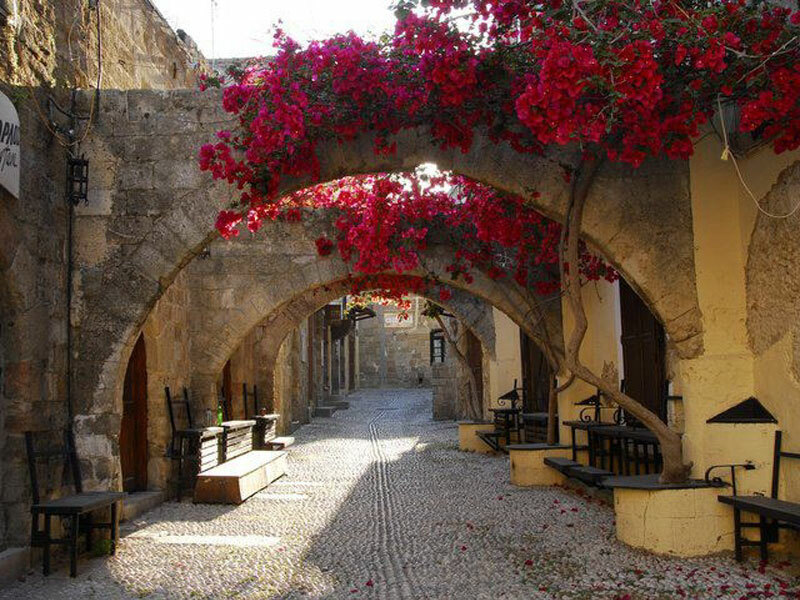 Most of the houses in Lindos have survived since the 15th century. The village is famous for its square, its white houses, its wonderful painted ceilings and its traditional white and black "chochlaki" pebbled floors. Filerimos is located on a hill, near the village of Trianta, also called Ialyssos. In ancient times, the acropolis of the city Ialyssos, one of the three cities that created Rhodes Town in 408 B.C., was standing on that same hill. The place took its name from a monk who came from Jerusalem in the 13th century. The small church he built became later a basilica and in the 14th century the St-John Knights founded a large monastery which can still be seen today. 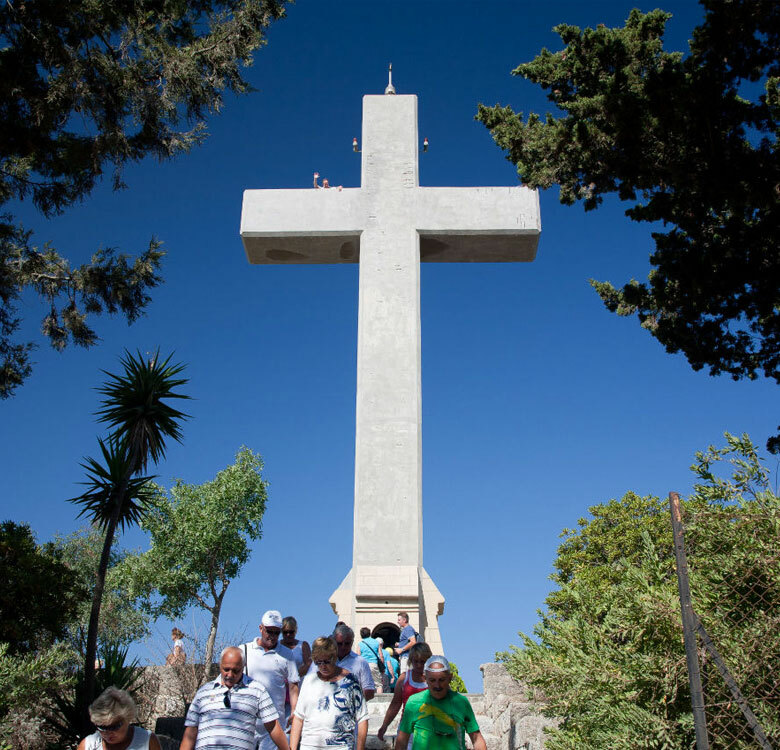 In the 20th century, during Italian occupation, it was renovated, partly rebuilt and supplied with a "Way of the Cross" which leads to the end of the hill where a big cross overlooks the coast. The view is amazing. The valley of "Petaloudes" or valley of butterflies is a beautiful natural site in the middle of woods. 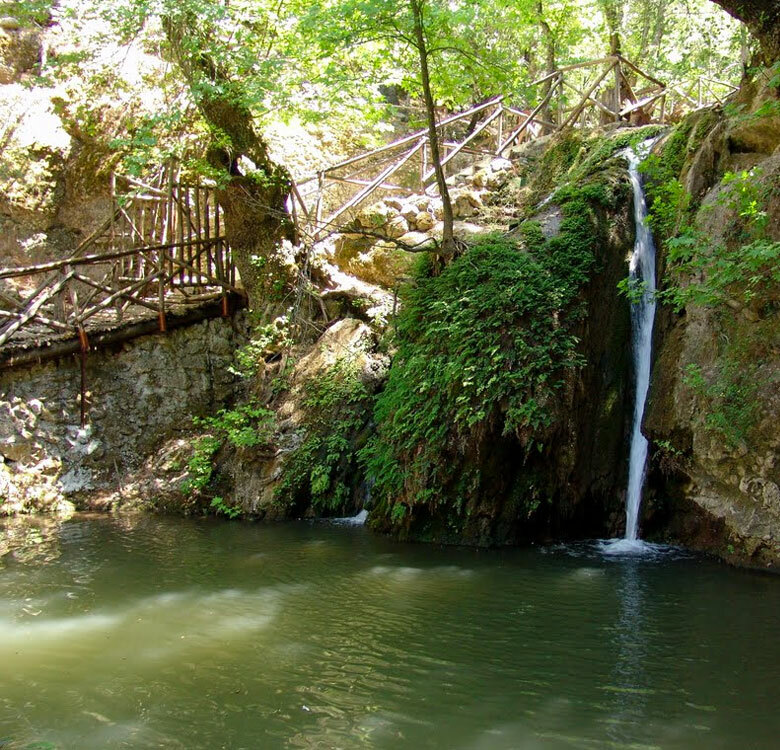 It is a shady, cool place, with small streams that run down the valley, and is inhabited during the months July, August and September by thousands of the Panaxia Quadripunctaria butterflies. This traditional village is situated in the south west of the island. Just outside the village stands a high rock on top with the remains of a medieval castle. 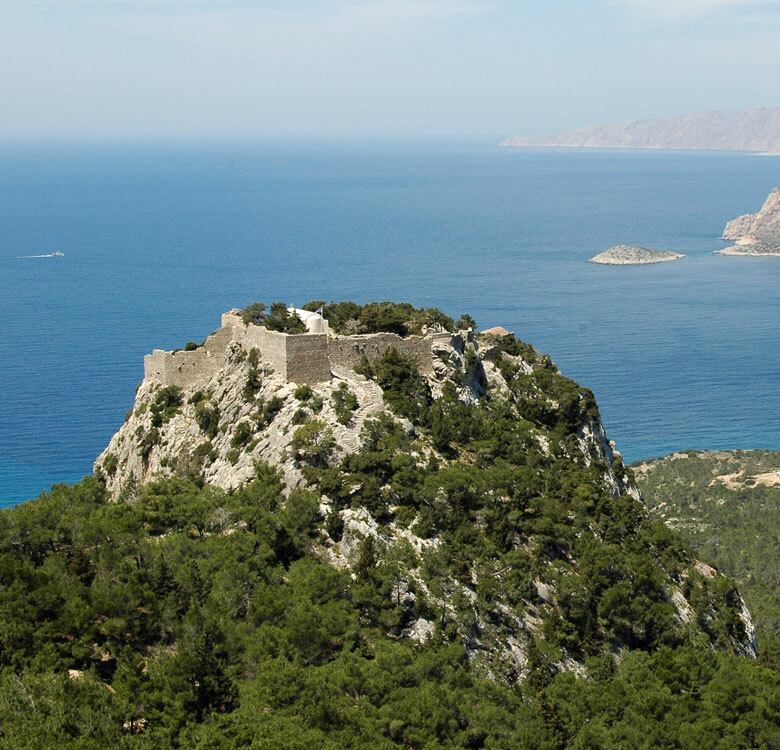 It was built around 1476 by the Knighs of St-John on top of the ruins of a Byzantine castle and was one of the four more powerful fortresses of the island. It has a magnificent view on the sea and the small islands opposite. 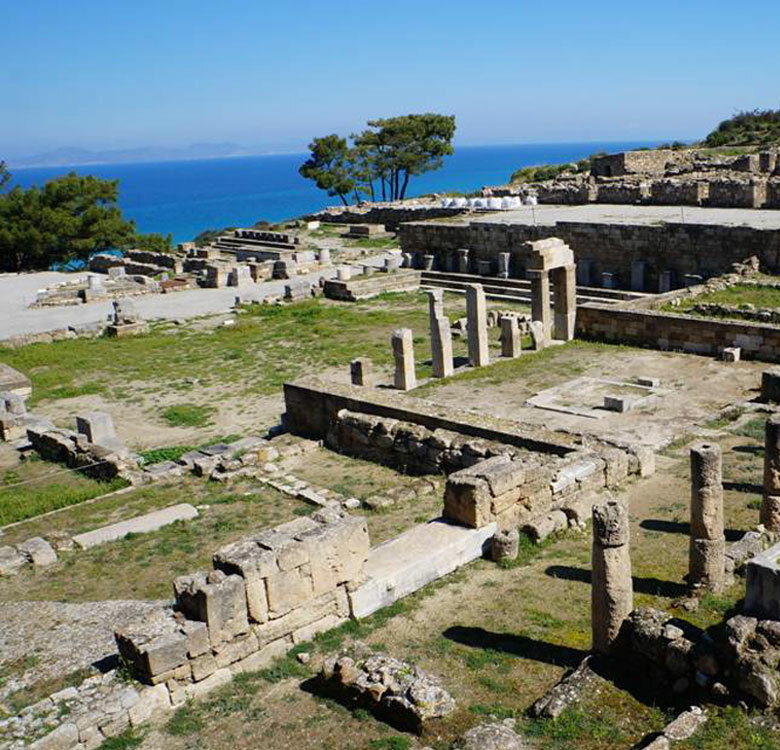 It was one of the three powerful cities of the island in ancient times and was built around the 7th century B.C. It was rediscovered in 1929. Today, after nearly 3000 years, the remains of a very rich civilization can still be seen there. The remains show the acropolis on the hill, the settlement on the middle level and a bit lower the Hellenistic temple, the Doric fountain, the market and the yard. This remarkable system from Hellenistic times also includes wells, underground tanks and irrigative tubes made of clay.